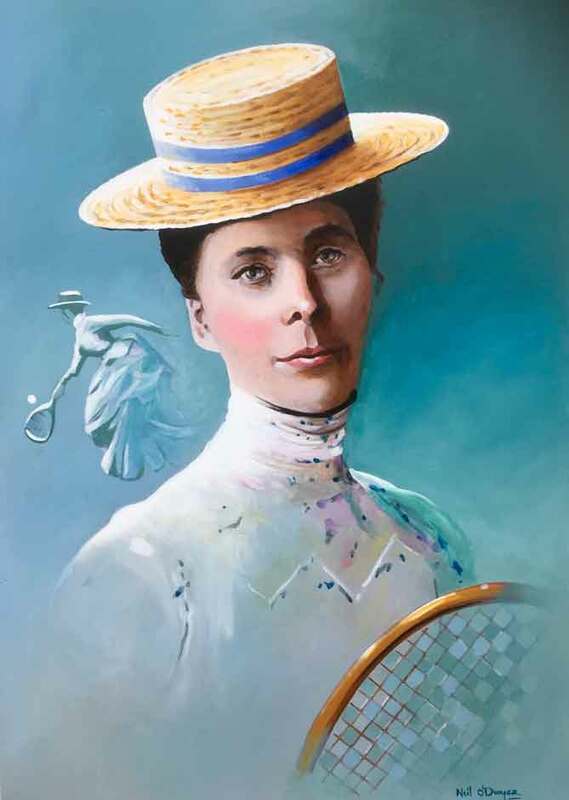 Lena Rice from Marlhill, New Inn, County Tipperary, is still Ireland’s only Ladies Wimbledon Champion. She achieved her success on July the 4th. in 1890, and is credited with introducing the forearm smash into the game. She passed away at the young age of 41 in 1907, and is laid to rest in ‘Downey’s Field’, in her native parish. Click on ‘Shop’ tab (above) to purchase this Limited Edition Art Print.